Australian-American rock collective THE DEAD DAISIES recently revealed music from their latest album, Burn It Down, would feature exclusively as the soundtrack for the upcoming horror anthology tv series, “Welcome To Daisyland,” which is scheduled to premiere this Valentine’s Day, February 14, across numerous platforms. In conjunction with the premiere of “Welcome To Daisyland,” THE DEAD DAISIES are releasing their new single “Dead And Gone” (Swamp Version) and have launched a music video highlighting performance and behind-the-scenes footage from their recent 2018 world tour. 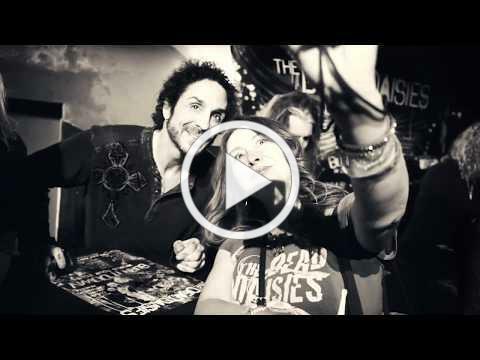 Get a glimpse of life on the road and head over to BLABBERMOUTH.NET for the exclusive premiere here:http://www.blabbermouth.net/news/the-dead-daisies-debut-music-video-for-dead-and-gone-theme-song-from-horror-series-welcome-to-daisyland/ or stream it below. The track will also feature in Episode 2 of the series. Directed by award-winning film maker Tony E. Valenzuela (Silverwood, Harper’s Globe) and starring Pepi Sonuga (Ash Vs The Evil Dead), “Welcome To Daisyland” debut episode will air on www.welcometodaisyland.com as well as the YouTube horror channel BlackBoxTV.